The Moto Guzzi Stelvio 1200 is a dual-sport motorcycle manufactured by the Italian company Moto Guzzi since 2007. 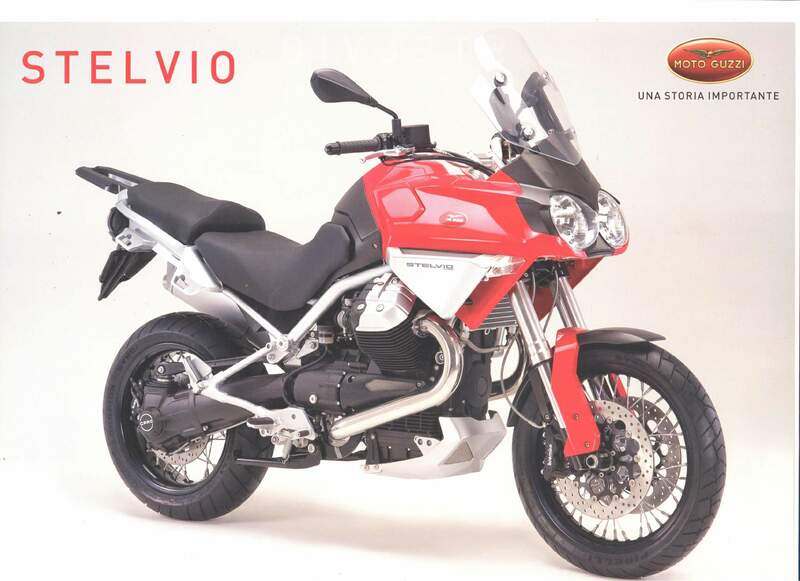 The Stelvio model was introduced in November 2007 at the Milan motorcycle show EICMA for the 2008 model year. It is named for the alpine Stelvio Pass. The 2009 model featured changes in engine tuning. For 2012, the fairing was restyled; electronic dash updated; and fuel capacity was increased.